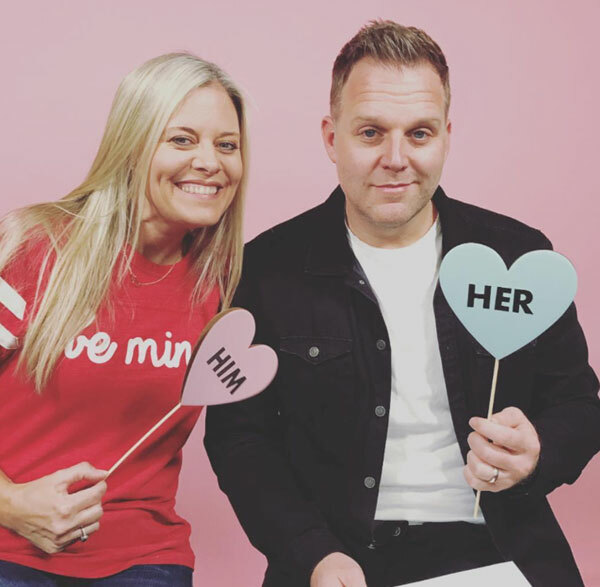 Nashville, Tenn. (Feb. 12, 2018) - Included on four-time GRAMMY® Nominee Matthew West's latest chart-topping album, All In, the love song "Jesus & You," is dedicated to West's wife, Emily. Inspired by the couple's real-life Music City love story, the two had an unlikely meeting when West walked into a label expecting to sign a record deal, not knowing that his future wife was also in the audience that day. Coinciding with the song, West released a lyric video for "Jesus & You" composed of a montage of young couples interspersed with footage of West and Emily West on their wedding day, almost 15 years ago. Along with the lyric video, West recently released an acoustic performance of the song. Just in time for the holiday, West and wife Emily had Valentine's Day fun playing the "Him or Her" game. With close to a quarter million views already across social media platforms, fans are given an inside look into the couple's everyday relationship.